What is LOVE, Dr. Cookerly? : Self-Love - What Is It? Synopsis: This mini love lesson starts with the many contradictions and confusions concerning self-love; healthy, real self-love defined; the operational definition of self-love; and ends with the functional definition of self-love, plus a few important questions; more. “I’ve been told again and again I need to learn to love myself but I don’t know what that means. I also have been told that before I can successfully love somebody else I first have to love myself, and until I love myself no one else will be able to love me enough or right. Is all that true? How can I figure all this out? “As a kid I was told self-love was a bad thing. It seemed to mean being selfish or self-centered and egotistical, conceited and even narcissistic. Sometimes it seemed to mean doing something with myself that was sexual and bad but I never figured out what all was included there. I knew I was supposed to put others first and myself last, and if I loved myself too much no one would like or love me. This lament is echoed by a large number of people whose mental and emotional health, indeed, will greatly improve if they come to have greater, healthy, real love for themselves. Not only that personal enrichment, but their relationship life, likewise, probably will show lots of improvement if they learn what healthy, real self-love is all about, how to do it, and practice what they learn. But how are they to do that if they don’t know what it is? There is another perplexing problem related to this confusing and contradictory self-love situation. If you are trying to love someone who doesn’t know what healthy self-love is, who doesn’t know how to practice healthy self-love, and who even may practice anti-self-love, you possibly are going to have a very problem-filled love relationship. If you’re trying to love someone whose healthy self-love is low, or someone who is indifferent to themselves, or who even hates themselves it is likely you are in big trouble and are going to need help. Oh, loving these troubled people can be done and it can turn out well but it sure isn’t easy. However, if you can encourage them to learn about healthy, real self-love, and to practice it, your love relationships with these un-self-loving people can get a lot easier and way more successful. You might be thinking, so Dr. Cookerly, are you going to tell us what self-love really is? Yes I am and rather exactly, but first let’s try to get a sense of self-love before we more precisely define it. Let’s examine several important ways to get a feel for what self-love is really all about. First, understand that ‘self-love is healthy, real love’ going from the self to the self. It’s sort of like feeding yourself healthy, tasty, nourishing food. Next, be aware that loving yourself may involve some psychological actions you may not be used to. For instance, it may involve your ‘adult self’ talking to your ‘inner child self’ in very loving ways. The more scientific may prefer thinking of this as your neocortex sending composed messages to your brain’s limbic system in very loving ways. Brain research shows that this positive internal dialogue accomplishes real neurochemical improvement, which you experience as feeling better and increasingly thinking more positively about yourself. Some prefer to say it is your ‘cognitive, conscious mind’ choosing to speak lovingly to your subconscious mind. Then there is a behavioral component. Healthy self-love involves treating yourself well, taking good care of yourself, doing yourself favors, taking yourself into good experiences and enjoying them, being sure you surround yourself with good people, and a host of other actions which demonstrate you acting with love toward yourself. People who do the actions of love toward themselves tend to experience the feelings of happy, healthy self-love which usually follow. At the emotional level healthy self-love can mean feeling really good about yourself, glad to be you, feeling upbeat and positive about and toward yourself, highly honoring and highly valuing yourself without getting into the forms of false self-love like egotism, arrogance, overbearance, insolence, vanity, ostentation, conceit, self-pity, grandiosity, etc. Healthy, real self-love can involve becoming awed, thankful and joyful about the one-of-a-kind, unique bundle of miracles that you are. Deeply becoming aware that you are a product of a miraculous creation system that got you started, and keeps you going, and is all part of who you really are – and this, I suggest, is truly awesome. Therefore, it is worth being joyous (occasionally or even often) about these aspects of yourself. Regrettably, if you have been brought up only on ‘product’ valuing yourself instead of ‘essence’ valuing yourself, in response to these self-love messages you may think something like “But I didn’t do anything to earn that”. You are much more than what you earn. You are born with high-value and you maintain your essence-value as a part of your core whether you do anything productive with your essence or not. Perhaps you have been trained to discount your value by thinking something like “But there are so many humans; I’m just one of the many millions. There’s nothing special about me”. Not true! You are an individual work of art. No one is exactly like you. You are unique and, therefore, special. No one thinks exactly like you, has exactly the same emotions, or behaves exactly the same way as you do. We all are just like our fingerprints – totally one-of-a-kind, though somewhat similar to others. So, you can value yourself, especially your essence and core self. Consequently, the experience of awe and joy about yourself, your essence and your core can be part of healthy, real self-love. Do you delight in yourself when you figure something out? Do you get a little spark of happiness when your wonderful, incredible memory system brings to you the memory you have been searching for? When you appreciate anyone or anything do you appreciate yourself for a few seconds for having an appreciation system which brings you happiness? When you fix something broken, or make something new, or cause someone to smile, or help someone in any way at all do you also take just a little bit of time to appreciate yourself for being able to accomplish what you just accomplished? Do you ever look back on the best experiences of your life and think something like “Good for me, I got and let myself experience that, and it was good”. Do you take joy into yourself when you see, or touch, or smell, or taste or hear something beautiful and then have a good feeling about being able to do that? When you have a really good time with another person are you also glad about your own ability to have that good time? All these things and much more are (and can be) part of healthy self-love. Actually, when you were a young child you did all these sort of things naturally (baring some disabilities). Young children around the world do ‘self delight’ unless and until they are taught anti-self-love. Your own natural tendency to do this may be deeply buried but it’s there, and you can resurrect it. If this ‘self delight’ mechanism is active in you, but a little rusty, you might polish it up with awareness and experience it more. Part of healthy self-love comes from valuing yourself enough to take good care of yourself. Diet, exercise, good medical attention when useful or needed– developing a very positive, mental/emotional attitude about life and yourself with lots of healthy empathy for yourself so that you are really in touch with your inner messages – healthy, positive, strong relationships full of love of many different types (a couple relationship, friends, family, pets to name a few) – and keeping yourself psychologically growing and actualizing your potentials, all are part of the healthy self-love and the self-care picture which you can develop. Self-love involves a lot of ‘loving others’ and this is how it differs from what might be considered selfishness. A great deal of research shows us that when you love others well you do yourself a lot of favors. Those who are good at loving others tend to have lowered bad cholesterol, better brain functioning, stronger community connections, greater longevity, get treated better by others, and a host of other benefits. Those who live by the great commandment “love others as you love yourself’, in fact, do the best at succeeding and being benefited in life. Those who don’t love themselves, or don’t love others, or don’t love both themselves and others are much less happy and much less benefited in life. With all the above in mind, I hope you have a sense of what healthy, real self-love actually is. So, let’s now define it more accurately. We will use this site’s working definition of love, found in the left column as “The Definition of Love”. Healthy, real self-love is a powerful, vital, natural process of highly valuing, desiring for, often acting for, and taking pleasure in the well-being of the self. I will now, with healthy self-love, brag that this site’s definition of love recently has been acclaimed in places as diverse as Egypt and China and the US. Let’s take a look at the elements in this definition. Powerful, yes, healthy self-love is powerful. It is something you can greatly change your life with, for the better and it can make you much more powerful in beneficially influencing the lives of others. Vital, means it is important to life and for enhancing life functioning, and that’s exactly what healthy self-love can do. Natural, demonstrates that it is part of nature and essential existence biologically, psychologically and relationally. Process, refers to healthy self-love being an active succession of systemic changing operations, all aimed at natural well-being. High valuing yourself in a deep, emotional sense is the key factor which leads to desiring for and acting for your own well-being and taking pleasure in your own well-being. It is by this that healthy self-love brings you to thriving wholeness and joy. One of psychology’s ways to define something psychological is to describe its operations. This usually means to detail the observable actions or behaviors which bring it about, or which occur when the phenomenon being discussed is occurring. For example, smiling, laughing, animated movement and other such behaviors are acting in ways called happy. This gives us the operations or behaviors that occur with happiness. Therefore, those actions give the operational definition of happiness. 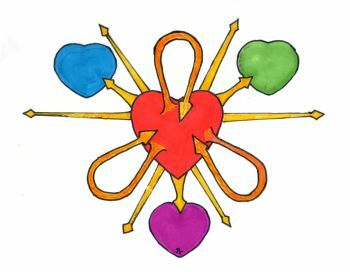 Healthy, real self-love can be operationally defined as doing ‘to or for’ yourself ‘one or more’ of the eight major groups of behavior which operationally define healthy, real love. These behaviors can include things like talking to yourself out loud or silently with loving words, using loving tones of voice and feeling yourself smile as you do this; lovingly caressing or holding yourself; affirming yourself with praise and compliments and accolades; exploring and, with ‘insight’, self disclosing yourself to yourself with appreciation and acceptance; tolerating your shortcomings, failures, etc. ; receiving deeply inside yourself praise, compliments, thanks, etc. from others; giving yourself both ‘object gifts’ and ‘experience gifts’; and a host of similar actions. To learn more about the operational definition of love consult the “Behavioral (Operational) Definition of Love” in the left column on this site. Another way to define something is to give its functions, or describe what it does or what it accomplishes. There are five major functions accomplished by healthy, real love. There also are the same functions found in healthy, real self-love. 5. Rewards you for doing any or all of the above with joy and other highly pleasurable feelings. 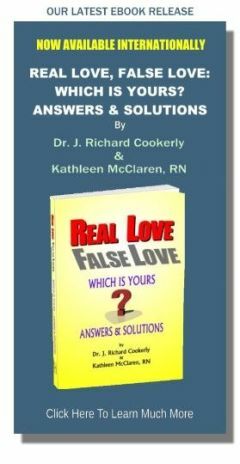 To learn more about the major functions of healthy, real love study “A Functional Definition of Love” found in the left column of this site and in “Self-love and Its Five Healthy Functions”. Some questions for you to consider: Are you highly valuing yourself in a deep, emotional way? Are you acting with the behaviors of love toward yourself? Are you living by the functions of good, healthy self-love? If not, are you going to learn these things and practice what you learn? Are you going to inform and maybe teach those you love about healthy self-love? Special Note: There are many other kinds of definitions of love and self love including poetic, biological, psycho-neurological, phenomenological, recursive, nominal, mathematical, linguistic and a great many more. Interestingly, the word ‘definition’ in a good dictionary has a very long entry! Have you been trained in anti-self-love thinking and acting and, if so, are you practicing those actions and thoughts more than practicing the actions and thoughts that go with healthy, real self-love?